I have always taken the Windows way of printing multiple images and photos (on the same sheet) for granted but when I wanted to do the same from my Mac I quickly realized I didn’t know how. So, for future reference, here it is. First, under “Pages”; select “Selected images in Sidebar”. Next comes the perhaps not so obvious part; In the drop-down list, select “Layout”. 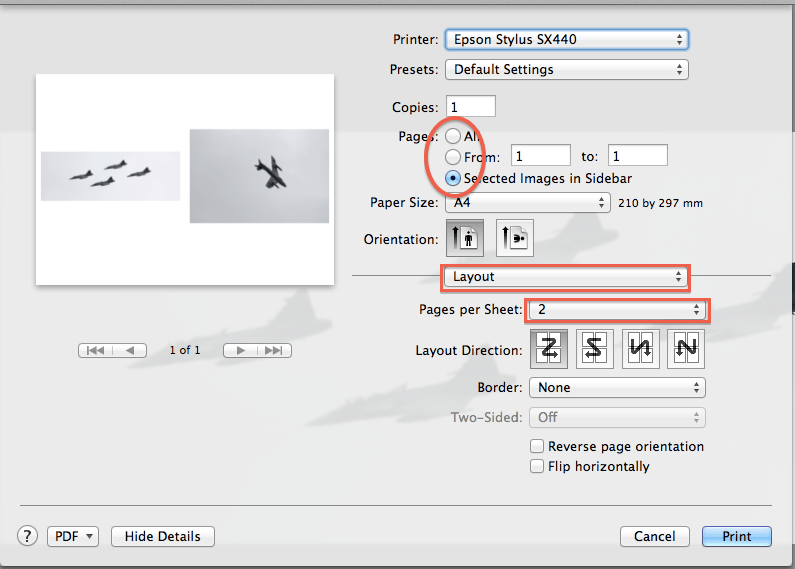 Set “Pages per Sheet” to 2 (or more, Your choice). Click “Print” and You’re done. While you’re here, take a look on how baking a computer in the kitchen oven actually can fix it. Still really helpful, thank you! This was extremely helpful!!! Thank you very much for posting!